Wally West Boy. they were going to put this into an episode, but they drew it too late.. Wallpaper and background images in the Young Justice club tagged: justice young kid flash wally. This Young Justice photo contains kitaaluma kanzu, kielimu joho, vazi jaji, kanzu ya kitaaluma, vazi kitaaluma, and jaji vazi. aww. 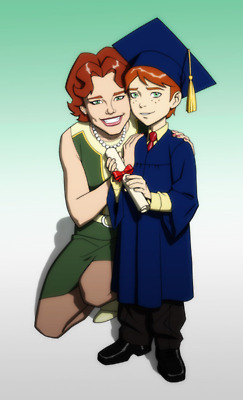 when wally was like in kindergarten graduation??? I don't know.. All I know is that they were going to put this at his school, or maybe in his house at the birthday scene, but then they drew it too late.